On November 8, 1946, Desmond was on a business trip when her car broke down in New Glasgow, Nova Scotia. She had to wait a day for the necessary car parts to be available, so she decided to go watch a movie to pass the time. Desmond didn’t know the theatre was racially segregated, so she tried to buy a ticket for the main floor section. However, Blacks were only allowed to sit in a segregated balcony upstairs. She was told she could only buy the balcony ticket, which she did. But then she went to sit in the main floor section anyway. The theatre manager came down and asked Desmond to move to the balcony or leave, but she didn’t. He called the police, and Desmond was forcibly removed from the theatre and arrested. They kept her in jail overnight, not informing her that she had the right to a lawyer and the right to bail. The difference between this case and others that you hear about in the U.S. is that Canadian segregation wasn’t enacted by law. In the southern United States, Jim Crow laws required segregation in public schools, public transportation, restrooms, and other public areas. In Canada, there were no laws requiring segregation. The theatre owner decided on his own that he wanted his theatre to be segregated, and he was allowed to do that. 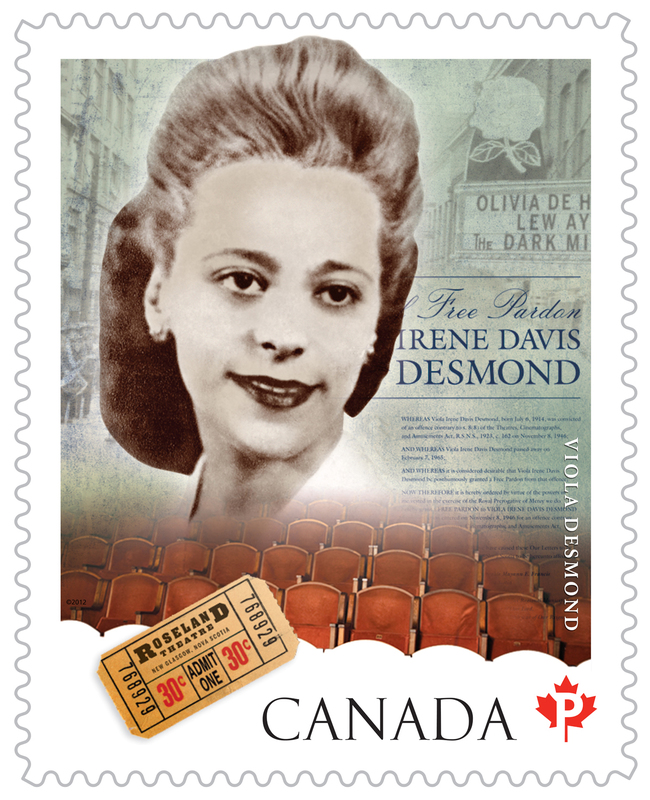 Since Desmond wasn’t actually breaking any law that required her to sit in the balcony, they charged her with tax evasion, on the basis that there was a one-cent difference between the tax on the price of the main floor ticket, and the price of the cheaper balcony ticket which she had paid for. She paid a fine and fees totaling $26 (about $350 today), and she was released. But the story doesn’t end there. After discussing it with her church’s leaders, Demond decided to fight the charge. Unfortunately her lawyer decided that rather than appealing it based on racial discrimination, they should appeal on the basis of her being wrongfully accused of tax evasion. They didn’t win the appeal, and the judge even commented with sympathy that Desmond would have been more likely to win if the case had been approached in a different way. Demond’s case didn’t cause any legal changes, but her actions did make people more aware of racial segregation in Nova Scotia, and inspired further efforts toward racial equality. Segregation was legally ended in Nova Scotia in 1954. Desmond died in 1965 at age 50. It took nearly another five decades before the Lieutenant Governor of Nova Scotia granted her a posthumous free pardon in 1910. A free pardon is extremely rare, and unlike a regular pardon, recognizes that the person was innocent of the charges and was convicted in error. The government of Nova Scotia also apologized. Desmond has been well-recognized within Canada. There have been documentaries, books, and songs written about her. She was on a postage stamp in 2012. And in 2018, her face will be on the $10 bill, the first woman (other than the queen) to be pictured on a Canadian banknote. 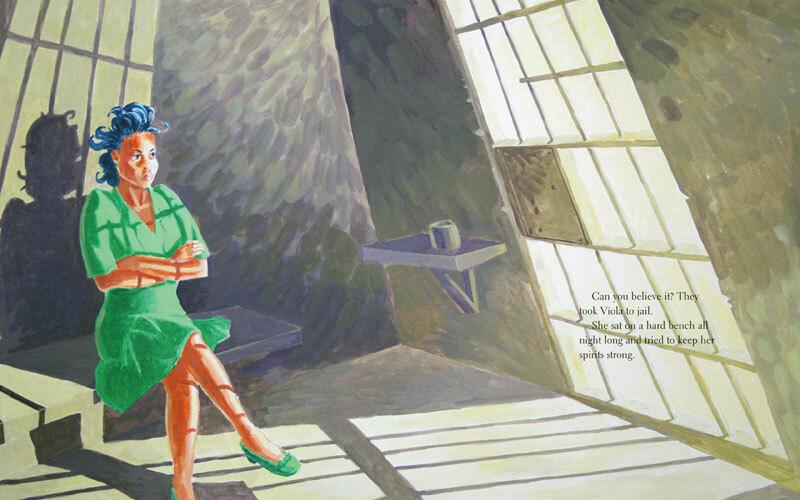 The illustration above is from a children’s book, Viola Desmond Won’t Be Budged, by Jody Nyasha Warner and illustrated by Richard Rudnicki. Is it true that she started out as a schoolteacher? Where is the reference info on this article? Could you please provide me with where you found out she was a schoolteacher?